Discussion in 'TV Central' started by Swami, Oct 22, 2018. Rory Reid, who joined the Top Gear team after the departure of Jeremy Clarkson, Richard Hammond and James May, will no longer have a main presenting role. He began fronting spin-off show Extra Gear in 2016, and went on to co-host the main programme alongside LeBlanc and Harris on the most recent series. 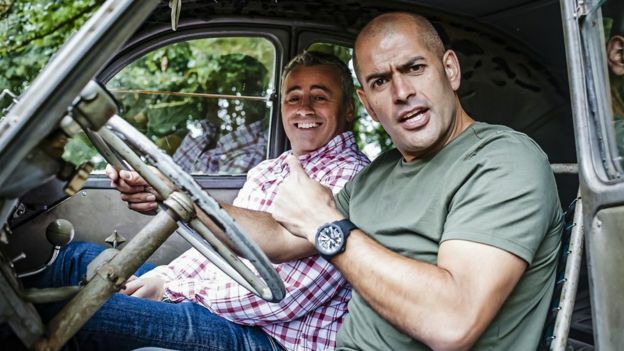 According to the BBC, he "will remain part of the Top Gear family", along with Sabine Schmitz, and will continue to be the face of Extra Gear. McGuinness commented: "Getting the Top Gear gig is a real honour and I'm thrilled the BBC have given me this opportunity. Ashes-winning former cricket captain Flintoff said: "It's not often you have the chance to do both of your dream jobs, but I'm now lucky enough to say I will have. 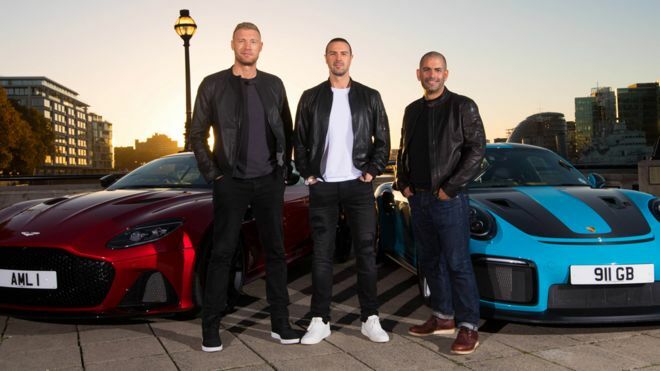 The next series of Top Gear - LeBlanc's last as lead host and 26th overall - will begin early in 2019 on BBC Two, before Paddy, Freddie and Chris take over later in the year. Flintoff retired from cricket in 2013 with a recurring knee injury and currently presents the podcast Flintoff, Savage and the Ping Pong Guy for BBC Radio 5 Live, alongside Robbie Savage and Matthew Syed. It is unclear whether he will continue to host the award-winning show, which has helped him cement his new career as a presenter and broadcaster. He has also previously been a team captain on Sky's A League of their Own. Take Me Out presenter McGuinness rose to fame alongside fellow Lancashire comedian Peter Kay in programmes including Phoenix Nights and Max and Paddy's Road to Nowhere. Earlier this year Paddy hosted Sport Relief on the BBC with Claudia Winkleman. Both McGuinness and Flintoff have a number of motoring offences to their names. McGuinness avoided a driving ban last year after hiring the lawyer sometimes nicknamed Mr Loophole, Nick Freeman. Despite the star having previously pleaded guilty to the driving offence, the case was thrown out on a technicality. Flintoff, meanwhile, has avoided a ban on several occasions after being caught speeding. In 2014, it was claimed a ban would have an adverse effect on his extensive charity work. The cricket all-rounder was also stripped of his position as England vice-captain following a drunken escapade on a pedalo in the Caribbean during the 2007 Cricket World Cup in St Lucia. Top Gear was Clarkson, Hammond and May and the new combinations thereafter have not remotely succeeded.